We've seen some truly sweeping changes to the way our roads are policed. 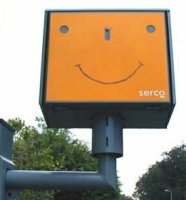 As speed cameras have been installed, so the Police have ignored a great many other offences, and diverted their skilled traffic officers to other duties. We don't know how the number of actual offences committed has changed (no one does), but in general they will have increased at least in line with the growth of traffic. In real terms (i.e. per million vehicle km), in 2001 speeding convictions are up to 236% of their 1993 levels. In the last two years on record alone (1999 to 2001) speeding convictions have increased by 44%. See figure 2 below. At this rate of growth (+20% pa) in 2010 we will be convicting 7.2 million every year for speeding offences. See the following table for more details. Serious offences are all seriously down. In fact everything except speeding is down. Information from Transport Statistics Great Britain (click here) We've used data from tables 4.20 and 9.7. The latest data from these tables is for 2000. The 2001 figures used here and there come from a Home Office Publication (click here). You can't measure safe driving in miles per hour.